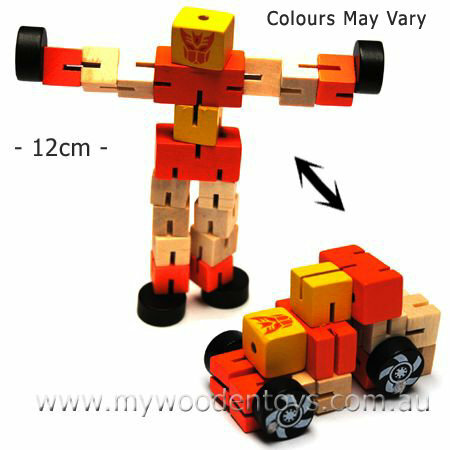 Mini Wooden Transformeris a fantastic fidget puzzle which can turn from a car into a 12cm tall robot. This wooden puzzle is cubes of wood held together with elastic. By turning and twisting and slotting the elastic into the cubes grooves you can transform from car to robot. This toy comes with full instructions and is a real challenge until you know how and I should know! To photograph them I had to transform back and forth a number of times. Size: 12cm tall as robot extended. We like this because: "A really lovely concentration fidget toy."